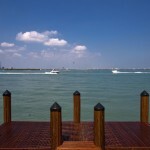 This Miami waterfront might look familiar since it was featured on Bravo’s Miami Social. But from that episode we got to only see a sneak peak of the unfinished home at the time. 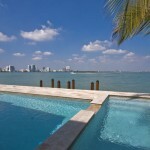 With 7 bedroom and 7 1/2 baths the home is on the market for $4,495,000. Check out the listing below. 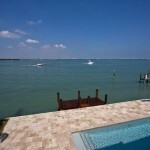 This home is located on the prestigious Venetian Island. It offers boaters a lifestyle that includes the freedom of immediate access to the stunning waters of Biscayne Bay and also the luxury of living in the most magnificent part of Miami Beach. 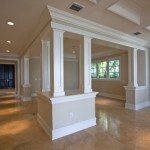 This home features a dock, a fabulous double volume foyer that sets the tone for this home, a family room and living room with beautiful views of the water, covered terraces, butler’s pantry, dining room, library, guest suite, and a master bedroom and closet that would enhance anyone’s lifestyle. 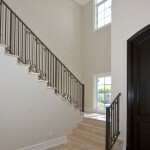 In addition to the seven bedrooms, this home also features an upstairs playroom, as well as all of the items we consider standard when building a custom home including custom wood cabinetry, crown moldings, marble flooring, impact glass and hand forged railings.